by Mark A. Sares, Esq. The Colorado Supreme Court in 2012 handed down several decisions that impact what has come to be known as the “billed versus paid issue,” 1 but disputes about what evidence is admissible with respect to a determination of the reasonable value of medical expenses remain. There is a common misconception that the Colorado Supreme Court decisions from last year stand for the proposition that billed amounts are per se admissible and the only evidence that can be admitted on the subject of reasonable value, even though no Colorado authority so holds. 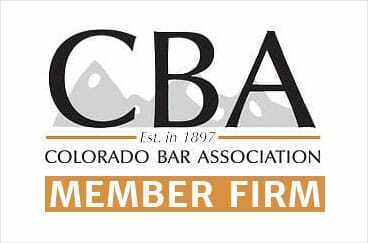 Pursuant to Colorado Civil Jury Instruction 6.1, it remains a plaintiff’s burden to prove the amount of his or her damages, and remains a plaintiff’s burden to prove the reasonable value any medical expenses. The civil defense bar takes the position that reasonable value of medical expenses is admissible only through expert testimony. However, the Colorado Court of Appeals decision in Mullins v. Medical Lien Management, — P.3d —-, 2013 WL 5397412 (Colo. App. 2013) (2013COA134, September 26, 2013) indicates that evidence of reasonable value can be admitted through lay witnesses. Jerry Mullins was a personal injury plaintiff who obtained financing for his treatments through liens with multiple healthcare providers. Mullins settled his personal injury action for the sum of $16,141.16. His healthcare provider, SpineOne assigned a lien of $17,081.16 to Medical Lien Management (MLM). Mullins brought an interpleader action to have the trial court resolve the allocation of the remaining settlement funds between MLM and himself. [After deducting Mullins’ attorney fees and costs, only $8,381.79 of settlement funds remained.] Mullins’ Complaint-in-Interpleader did not dispute the existence or validity of MLM’s lien. MLM asserted affirmative defenses to the interpleader action and counterclaims for breach of contract and declaratory judgment. MLM subsequently moved for summary judgment, but judgment in favor of MLM was not entered until after a trial on all defenses and counterclaims. The court granted MLM the full $8,381.79 of the interpleader funds. Jerry Mullins appealed the trial court’s judgment in favor of MLM. The Colorado Court of Appeals affirmed and addressed only one rationale of the trial court’s judgment in favor of MLM. Specifically, it affirmed the sufficiency of evidence presented at trial. It is not an abuse of discretion for a trial court to allow lay opinion testimony, pursuant to Rule 701, C.R.C.P., about the reasonableness and necessity of the amount claimed as medical expenses. The Court upheld the trial court’s admission of lay opinion testimony, based on the lay witness’ statewide “familiarity” with costs for medical procedures. The Court held that “simple comparison of prices and deductive reasoning,” based on daily review and comparison of medical bills, qualifies as lay opinion not requiring expert qualifications. It is now apparently arguable that billed medical treatment amounts may be challenged for their reasonableness and necessity by the testimony of any witness who is familiar with amounts billed/charged for medical procedures statewide and whose regular duties include comparing such expenses. It is not an abuse of discretion for the trial court to allow an undisclosed witness to testify because the party opposing that witness’ testimonial evidence reasonably could have anticipated that the undisclosed witness would testify and could have anticipated the content of the witness’ testimony. statements identifying [a witness’] name, address, telephone number, and a detailed statement of the expected testimony for each witness the party intends to call at trial whose deposition has not been taken, and for whom expert reports pursuant to subparagraph (k)(2) of [Rule 16.1] have not been provided. To date, plaintiffs had been able to testify in Colorado that they were “billed” certain amounts for medical care. However, defendants had met with some success arguing to the Court that unless plaintiff endorsed qualified experts whose opinions were supported by the proper Daubert and Shreck reliability elements, plaintiffs could not meet the burden of proof required to establish “reasonable value” under CJI 6:1. With the advent of this ruling, the defense community should anticipate that plaintiffs will now attempt to introduce evidence that billed amounts are “reasonable” through either plaintiffs or medical providers themselves. What training or experience does the witness have with respect to assessing reasonable value? What data did the witness look at in order to arrive at their opinion? What was the geographic scope of the information reviewed by the witness? Has the witness ever taken steps to negotiate bills, and if so, what sorts of steps and with what results? Does the witness know whether such steps are standard industry practice when it comes to determining the reasonable value of medical expenses? There may be a silver-lining to the Mullins opinion for insurance carriers who are defendants in first party actions. This opinion strongly suggests that adjusters can testify about the reasonable value of bills for medical procedures based on their familiarity, from regular review of bills for procedures in the relevant geographic area, as part of their regular duties. This result would have the added benefit of saving the defense the expense of retaining an expert for rebuttal testimony if a plaintiff discloses a witness with the foundation to testify, with lay or expert opinion evidence, on the reasonable value issue. It is not clear at this time whether certiorari review of the Mullins decision will be sought, but this is one to watch. 1 See, for example, the cases of: Smith v. Jeppsen, 277 P.3d 224, 2012 CO 32, (Colo. 2012) and Wal-Mart Stores, Inc. v. Crossgrove, 276 P.3d 562, 2012 CO 31, (Colo. 2012). These cases held that the amount accepted in full payment for medical expenses from a collateral source, which was pre-planned, negotiated and purchased by or on behalf of the Plaintiff, was inadmissible pursuant to the common law pre-verdict component of Colorado’s collateral source rule. That common law exclusion of such pre-verdict evidence is enforced alongside Colorado’s statutory post-verdict component of the collateral source doctrine, codified at C.R.S. 13-21-111.6. See also, Kendall v. Hargrave, 142 Colo. 120, 123, 349 P.2d 993, 994 (1960) and its progeny, Colorado’s collateral source statute, section 13–21–111.6, C.R.S. (2010) and section 10–1–135(10)(a), C.R.S. (2010).